Kuching at NightMeet your personal guide at the airport of Kuching. Transfer to city hotel and check-in. Take a stroll along the waterfront in the evening. Your guide will take you to the "Top Spot Seafood Centre". The bustling open air food court offers countless local dishes. Start your journey with culinary specialties like fern sprouts, water spinach, or grilled fish. Return to your hotel afterwards. Overnight in Kuching. 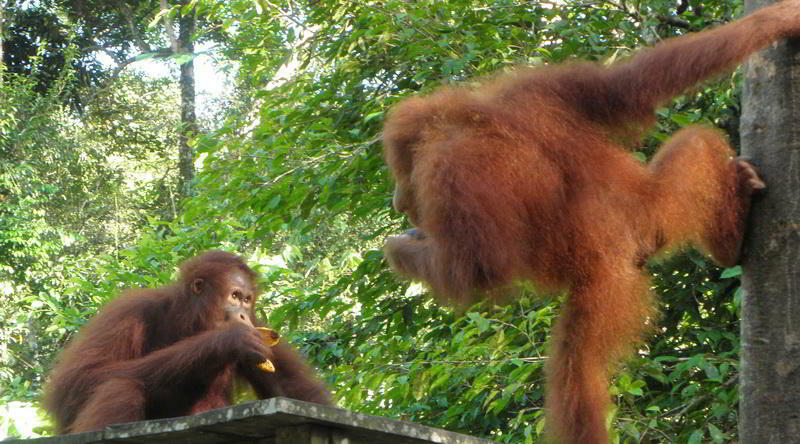 Orang Utan in SemenggohIn the morning your personal guide will meet you and you will start your journey with a tour to Semenggok Orang Utan Rehabilitation Centre where you will have the chance to observe the Orang Utans coming out of the forest for the feeding time. Your guide will give you further details about these amazing animals. After this fascinating experience you will go on a sightseeing tour of Kuching. 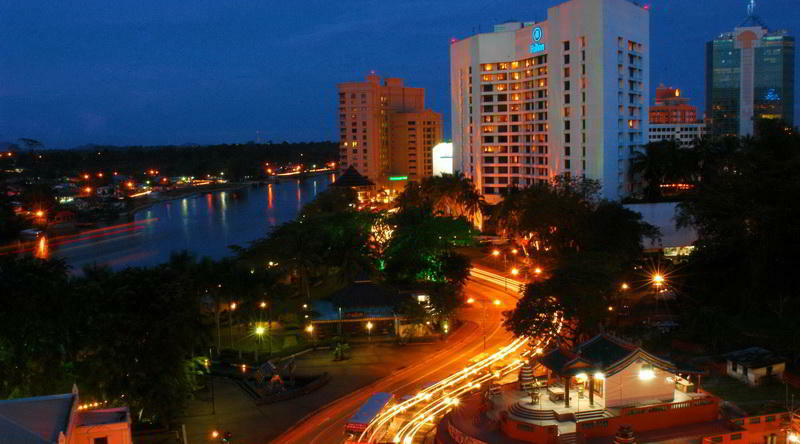 The charming city is the capital in the State of Sarawak. During the tour your guide will show you the Tua Pek Kong temple. The sanctuary dates back to the 19th century and is the oldest temple in Sarawak. The Waterfront at the Sungai Sarawak was transformed into a sweeping esplanade. Other sights near the Waterfront are the colonial Courthouse Complex, the clock tower, Charles Brooke Memorial, and the Indian Mosque. Across the stream you can see the Malay kampoong (village) and The Astana. The palace of the White Rajahs was built in 1870. Charles Brooke, the third White Rajah of Sarawak, gave it to his wife Margaret Alice Lili de Windt as a wedding gift. She was also the inspiration to Fort Margherita, which he built right next to the palace in 1879. Today The Astana is the official gubernatorial residence and is not open for public. Take a boat to the northern bank and visit the Brooke Gallery. The Gallery tells the story of the "White Rajas" with artifacts from the Brooke Family’s collection. Return to your hotel. Overnight in Kuching. Iban LonghouseCheck-out from the hotel after breakfast. 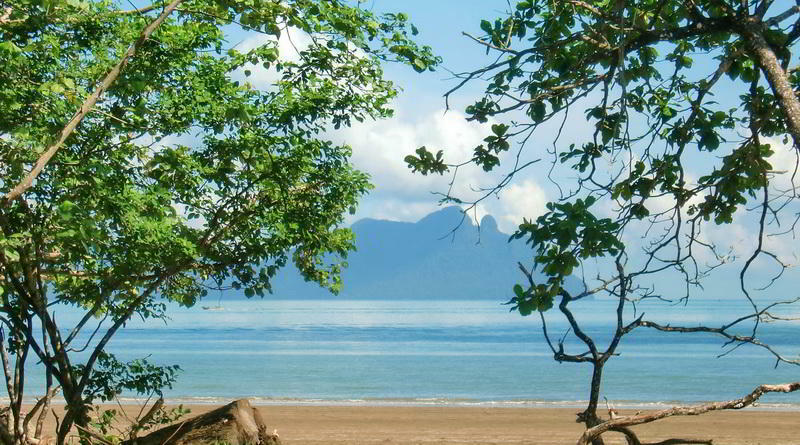 Today you will leave the city and drive to Damai Beach. Check-in at the Resort. Afterwarts visit the Sarawak Cultural Village which showcases traditional houses of the local tribes. A dance performance will be shown at the indoor theatre (airconditioned). The afternoon is free at your leisure. After sunset is the best time to seach for nocturnal animals like flying lemurs, insects, snakes and birds. Overnight at the resort. Birds RockAfter breakfast go down to the beach at the resort and board a speedboat to the river mouth. The ride will take approximate 45 minutes. Search for the Irrawaddi (or Snubfin) Dolphins. This species has a large melon and a blunt, rounded head. Its beak is indistinct. The dorsal fin is short, blunt and triangular. It is located about two-thirds of the way along the back. The flippers are long and broad. It is lightly colored all over - slightly whiter on the underside than the back. It appears whiter than it actually is when set against the background of a muddy river. Length is about 100cm at birth and 230cm at full maturity. Birth weight is about 10kg. Adult weight exceeds 130kg. Lifespan is about 30 years. The Irrawaddy Dolphin is a slow swimmer. It surfaces in a rolling fashion and lifts its tail fluke clear of the water for a deep dive only. Irrawaddy Dolphins spit streams of water from their mouths whilst spy hopping. Observe the dolphins while they swim around the boats of the local fishermen in search for food. After this fascinating experience you will visit Kampong Salak, a Malay Fishing Village where the villagers are still living without electricity and proper water supply. A Generator is supplying the School with Electricity. Experience the traditional life in the village. After this visit we will once more try to find wild Crocodiles along the Riverbanks of the Mangrove Forest. Afterwards we will proceed by boat for another 45 minutes to the Satang Islands located off the coast of Santubong. Together with the Talang-Talang Islands that are located off the coast of Sematan, these two locations are the only major marine turtle nesting sites in Sarawak. During the “turtle season” from May to September, Green Turtles come ashore at night to lay their eggs and rest in the surrounding waters before and in between landings. Packed lunch is provided on the island. Enjoy the beautiful view from the island, relax at the beach or go for a swim or snorkel in the clear water. 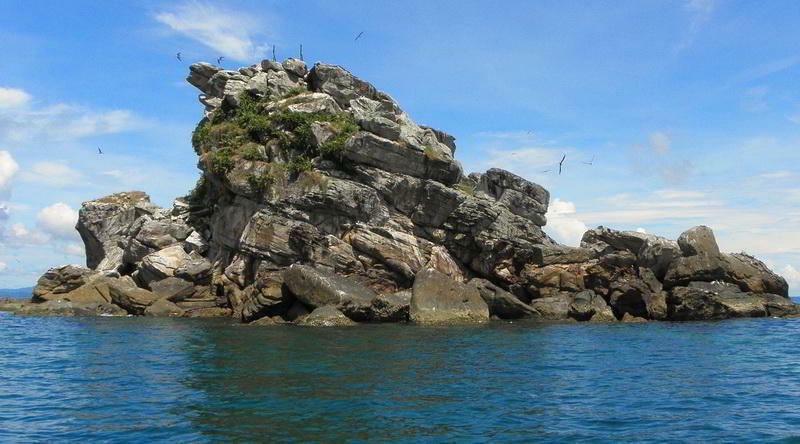 On the return boat ride to Permai we will pass by “Bird's Rock”. We will slowly pass by the rock for a better impression of this rocky islet which is an important rookery for Black-napped and Bridled terns. After the tour return to your hotel in Kuching. Overnight in the Hotel. Bako National ParkStart your day trip to the Bako National Park after breakfast. The sanctuary was founded in 1957. With an expanse of less than 30qkm Bako is the smallest National Park in Sarawak but offers a diverse landscape and vibrant wildlife. First drive 37km to Bako fishing village. The park is located on the Muara Tebas peninsula without any direct connections by road. Wait at the registration office until you can board a small boat to the park headquarter. The short trip will take 30 minutes. Upon arrival in the park start a trekking tour along some of the marked trails. Interesting plants and trees are labeled. Maybe you see some of the park's more animalistic inhabitants. Proboscis monkeys, monitor lizards, bearded pigs, silver leaf monkeys, and many tropical birds live here. While you follow the trails you will see different forms of tropical vegetation. The coasts are secured by the roots of mangrove trees. Their leaves feed the local monkey population. The mangroves transform into heath forest. High up on the plateau you will find many endemic pitcher plants and orchids. Keep your eyes open for the tiny sundews. Have a short break at a secluded beach before you return to the headquarter and the cafeteria. Return to Kuching in the afternoon. Overnight in Damai Beach. Breakfast in the Hotel. Time free at leisure until check out. Transfer to Kuching International Airport. Important information: All programmes and transfers by boat are on seat-in-coach base (group). You may be in a small group with other people. The accomodation at Bako National Park is provided by Sarawak Forestry. The simple lodges (Type 6 or similar) are not air-condtioned. The facilities include a fan and private lavatory. The park cafeteria sells simple, local dishes and drinks (non-alcoholic).